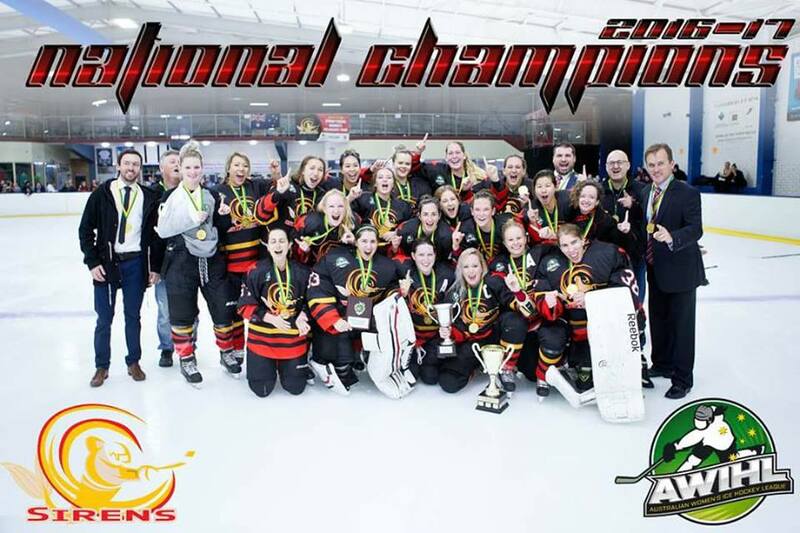 The Sydney Sirens have capped off a perfect season by winning the Australian Women's Ice Hockey League (AWIHL) Final on Sunday night at the Canterbury Ice Rink. In front of a vocal home crowd, the Sydney-siders defeated the Brisbane Goannas 4-3 after an epic shootout. “It’s been a really good year for us,” said Sirens coach Troy Morgan “Fourteen wins in a row is pretty hard to achieve, we’ve been close before but we’ve never won the championship.” The Sirens qualified for the gold medal game, after defeating the Adelaide Rush 10-0 in the first semi-final, while their opponents, the Brisbane Goannas shut out the Melbourne Ice 3-0 on route to the final. “There was always going to be pressure to get that Gold medal game, even though we had the crowd behind use, the girls have come so far this year and I’m really proud of them” said Morgan. Morgan credited his side’s dedication and commitment, both on and off the ice and the belief that has been in the group since the start of the season. “We’ve done a lot of extra things this year, specifically of off ice training, mentoring and mindset programs for athletes and the girls have just lifted to another level.” Despite falling behind 2-0 in the first period, the Sirens battled their way back into the contest thanks to a pair of goals by forward Sharnita Crompton, including the game-tying goal with under five minutes to play in regulation. Neither side was able to take advantage of the open ice in the 10 minute 3-on-3 overtime, which meant the 2017 Championship would be decided in a shootout. Sirens' forward Erin Beaver got the home side on the board with her first shot, while at the other end of the ice, Sydney goalie, Sara Dogramaci proved the critical difference - stopping all three Brisbane shooters. With the 4-3 shootout win, the Sirens claim their first ever AWIHL championship and the Joan McKowen Memorial Trophy. “I believe you’re going to see a run from the Sirens in the next few years” said Morgan “We’ve got great senior players and some even better younger girls coming through the system, women’s hockey in Australia is looking good.” The only concern for the Sirens was in injury to top scoring forward Sharna Godfrey, who left the game in the second period after a heavy collision. Godfrey had to be helped off the ice nursing her right shoulder and did not return to the game. National team selectors will be hoping the injury won’t keep her out of the National team, as they prepare for the International Ice Hockey Woman’s World Championships (DIV II, Group A) in the Korea, which starts April 2. 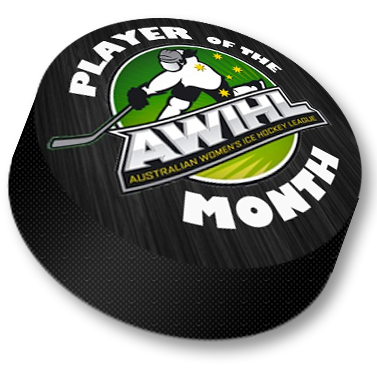 Ashleigh Brown Skater's Network AWIHL Player of the Month! 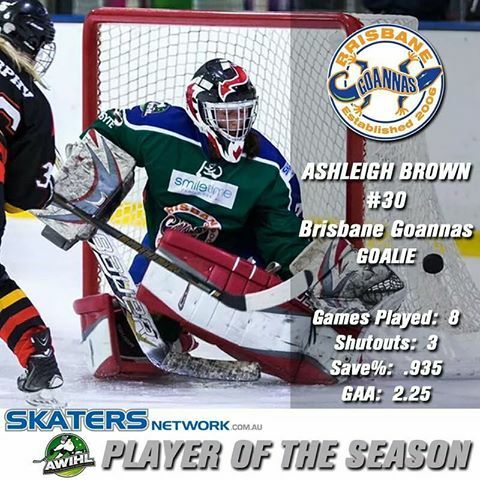 The AWIHL SKATERS NETWORK Player Of The Month for December is ASH BROWN!!! 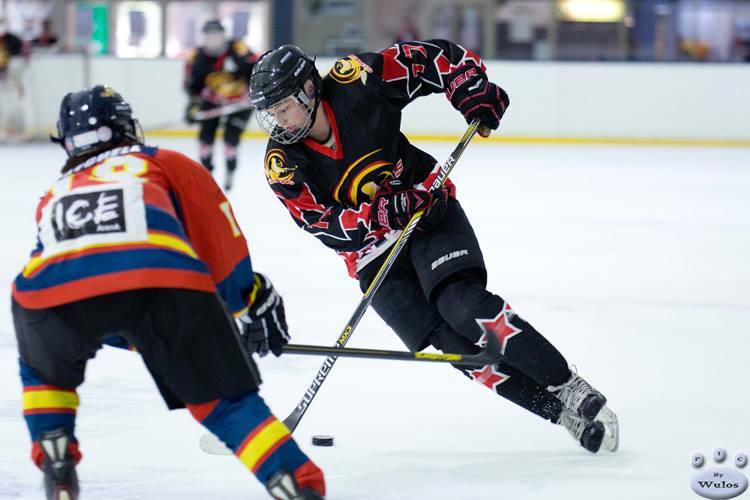 Ash has had a standout Month for the Goannas Womens Ice Hockey Team with 2 shutouts helping them along to second position on the table. Ash has faced 88 shots for only three goals giving her an NHL worthy save percentage 96%. Congratulations ASH! you have earned a new Paddle of your choice!!! Thank you to Skaters Network for Sponsoring the Player of the Month!! Sharna Godfrey and the Sydney Sirens remain unbeaten through November. 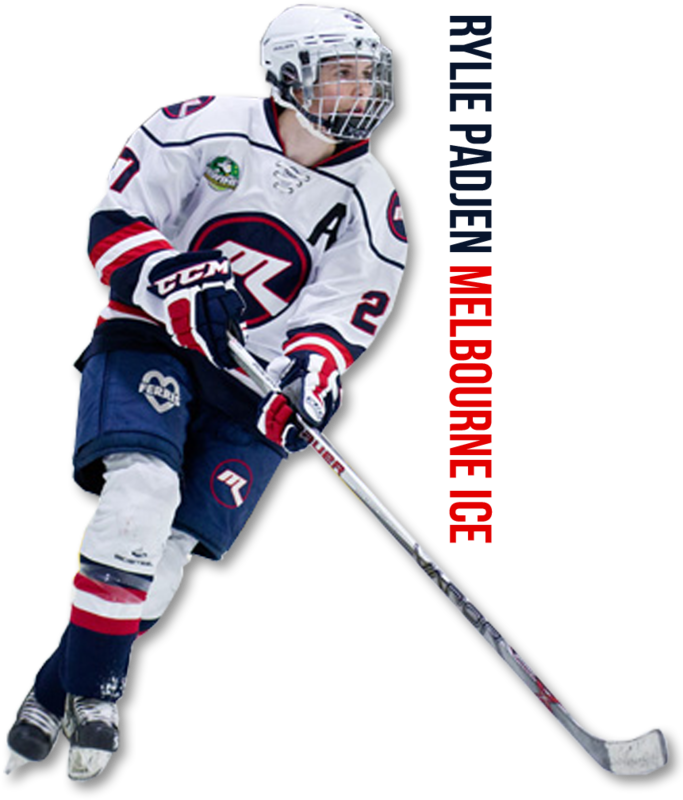 The Sydney Sirens have pushed out the Adelaide Adrenaline for second place in the standings this week whilst the Melbourne Ice extend their winning streak to 4 against the Goannas. Adelaide have been taking their team name literally lately as they staged yet another comeback, this time against the Sirens Saturday night. Down 3-0 the Adrenaline closed the gap to 4-2 by the end of second. With momentum on their side they buried another two unanswered goals to force the shootout. Their shootout closing streak would come to an end unfortunately as the Sirens managed to salvage their lost lead and count the shootout victory as their first points on the board for the year. The Brisbane Goannas traveled south determined to get their first win of the year against a streaking Melbourne Ice at home. Goannas were leading 2-1 at the end of the first after goals from Emma Gray and Abi Brown. But Georgia Carson would even the score giving the defending champs a jolt as Jones and Padgen would make it 5-2. Emma Gray got the Goannas back in the game with a nifty goal, but it wouldn’t be enough as the Ice finished off the job 7-3. The Ice didn’t stop there. On Sunday they raced out to a 4-1 lead. Brisbane would respond but it wouldn’t be enough as the Ice cemented their undefeated streak with a 6-3 win. For game results, news & events, Follow Us on Twitter!